Using the Anew Fuel Card, businesses can reduce their transaction costs and manage cash flow more effectively. When invoices match, payments can be generated automatically, giving you all the advantages of direct payment without the hassles. It is simple to start taking advantage of our Anew Fleet Card. Download and complete the forms below and send in with your next payment along with a voided check from your checking account. 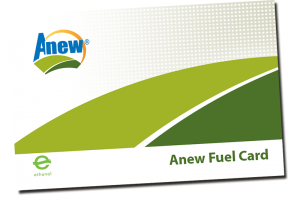 Life just got a little easier with the Anew Fuel Card! Direct payments make it simple and convenient. Through use of the Anew Fuel Card, our customers can eliminate the costs associated with writing checks and doing paperwork while guaranteeing that they will never miss another discount or due date. Once all three(3) applications have been completed correctly, send in with your next payment and voided check. You will receive an invoice by fax or email notifiying you of the amount and the date which will be set up for payment on your discount due date. And that’s it!